Sheikh Hamdan bin Mohammed bin Rashid Al Maktoum, Crown Prince of Dubai and Chairman of the Dubai Executive Council, has issued Executive Council Resolution No. (21) of 2016 that amends the list of professional categories eligible for work nature allowance in Dubai Government. The new Resolution is annexed to Executive Council Resolution No. (15) of 2013 regulating work nature allowance for employees of Dubai Government. 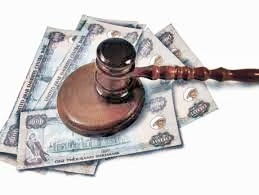 The amendment includes a new professional category ‘Forensics Jobs’ which will benefit from a work nature allowance of a maximum of 100 per cent of the basic salary, with the maximum payable monthly allowance being Dh25,000. This is the third among six professional categories eligible for work nature allowance. The professional categories entitled to work nature allowance listed in Resolution No. (15) of 2013 have been retained in the new Resolution. As per the new Resolution, the first and the second job categories will receive a work nature allowance of 100 per cent of the basic salary with a monthly maximum payable allowance of Dh25,000. The first category includes medical doctors while the second includes the posts of financial controller and auditor at the Financial Audit Department. Under the new Resolution, the fourth category is eligible for an allowance of 50 per cent of the basic monthly salary. The maximum payable allowance is Dh10,000 per month. This category includes engineers, legal professionals, professionals in financial planning and studies, investment managers, experts at the Expertise department, dispute settlement professionals in the Dubai Ruler’s Court, internal auditors at government departments, specialised management and human resource professionals, IT professionals, judicial assistants, and teaching and training staff at universities, colleges and institutes. The fifth category includes accountants, paramedics, nursing pharmacists, emergency medicine technicians, professionals in health, public safety and environment inspection, customs inspectors, public parking inspectors and media professionals. Jobs in this category are eligible for a work nature allowance of 30 per cent of the basic salary, with a maximum allowance of Dh6,000 per month. The sixth category includes employees in regular night shift jobs. They are entitled to an allowance of 25 per cent of their basic monthly salary. The Resolution is effective from the date of publishing in the Official Gazette.